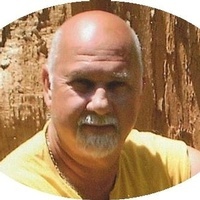 Charles Ray Ramsey age 60 of Tunnel Hill, Georgia, departed this life early Saturday morning, January 19, 2019, at Hamilton Medical Center. He was born Aug. 24, 1958 in Boaz, Al., a son of the late William Wesley and Cornelia Alice Ramsey. He was also preceded in death by his brother-in-law, Oscar Farmer, and sister-in-law, Stacey Ramsey. He is survived by his son and daughter-in-law, Derrick and Kelly Ramsey of Dalton, Ga.; his companion, Rhonda Sharp of Ringgold, Ga.; daughters, Courtney and Lindsay Sharp of Ringgold, Ga.; sister, Rachel Farmer of Dalton, Ga.; brothers and sister-in-law, Verlon Ramsey, Freddy and Diane Ramsey of Alabama; grandchildren, Caitlin, Teal, Hunter and Teagan; great-grandchildren, Keirra, Riddick, and Ben; and nieces, Danyell Boyd and Lasonda Hayes. Service to celebrate the Charles Ray Ramsey will be held Friday, Jan. 25, at 11 a.m. from the Ponders Melrose Chapel with Reverend Stacy Hensley and Reverend Bill Gardner officiating. Interment will follow in the Ponders Colonial Hills Memorial Park Cemetery with Charles Boyd, Derick Hayes, James Chapman, Cregg Fulkerson, Wayne Unger, Cody Serlin and Teagan Ramsey serving as pallbearers. The family will receive friends at the funeral home from 5-9 p.m. on Thursday Jan. 24. In lieu of flowers the family request donations be made to the Shriners Hospital for Children at 2900 N. Rocky Point Dr. Tampa, FL 33607 Attn. Office of Development.